Two Shower Heads Let Water Fall From Above To Cool You Off!! 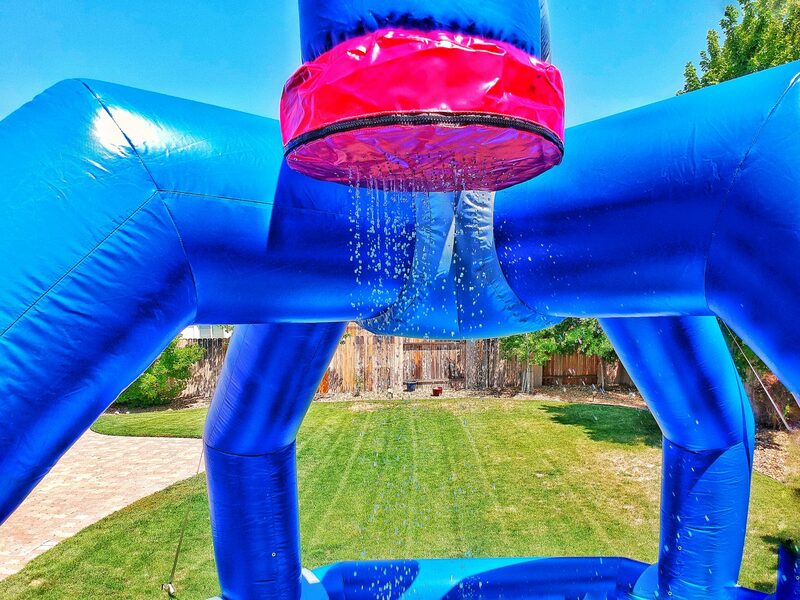 Inflatable Water Splasher Game Rental is designed especially for all ages. Who doesn’t like to get a little wet when its a scorcher outside? 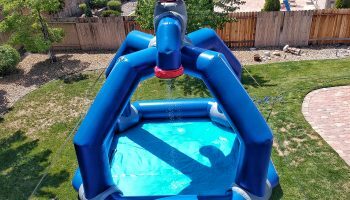 This 15 foot giant themed water faucet works great for those hot days. We are always on the hunt to bring unique games and solutions for your party or event. 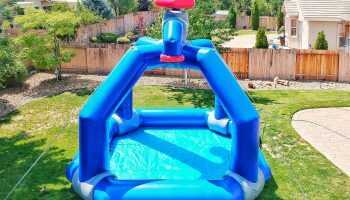 The Inflatable Water Splasher Game Rental has a totally sealed floor with a drainage flap for water to drain fast and easily. The floor is also made with non slip vinyl so no one slips. 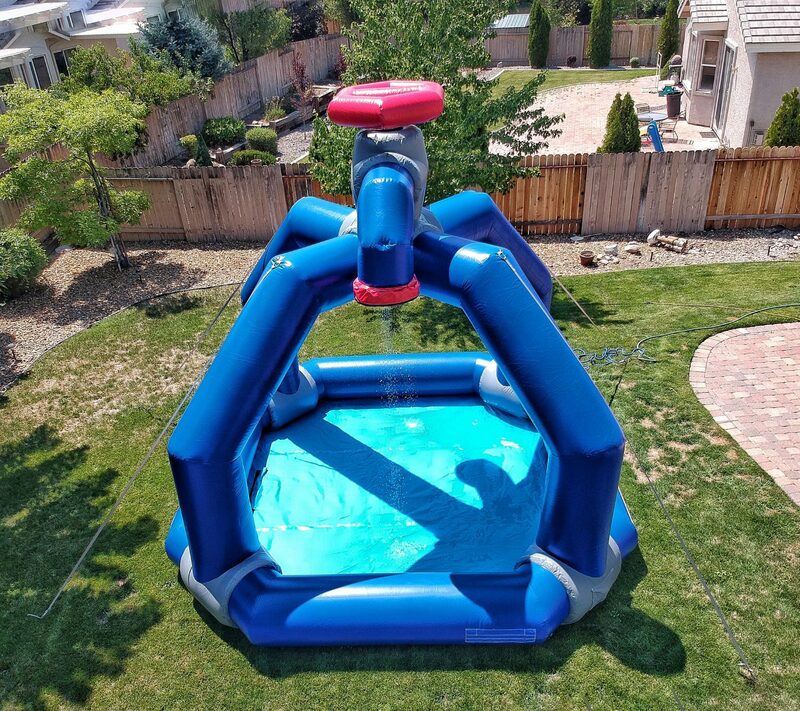 This Inflatable Water Splasher Game Rental has two inflatable faucets that disperse water to give the effect of it cascading down. 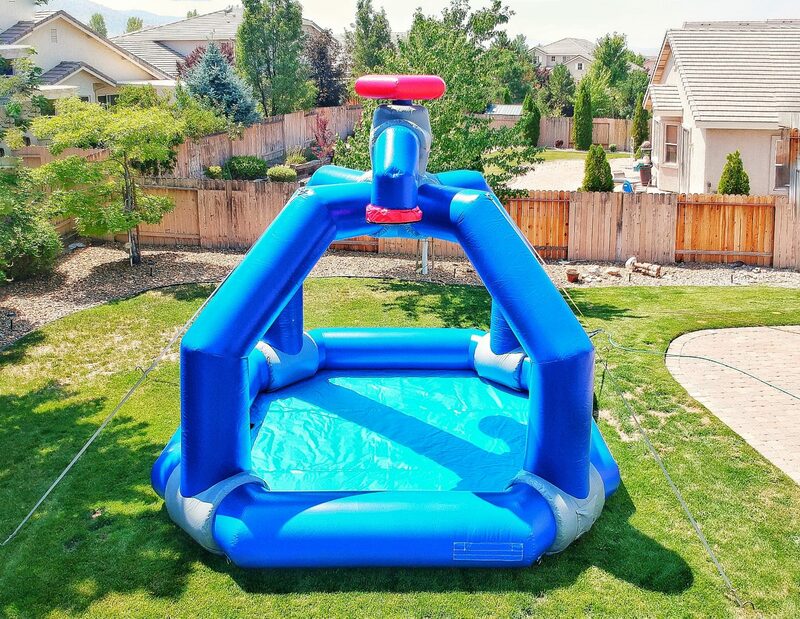 The many cool factors about Inflatable Water Splasher Game Rental is when your ready to “dry off” there is air blower vents located in each one of the arms of the inflatable. 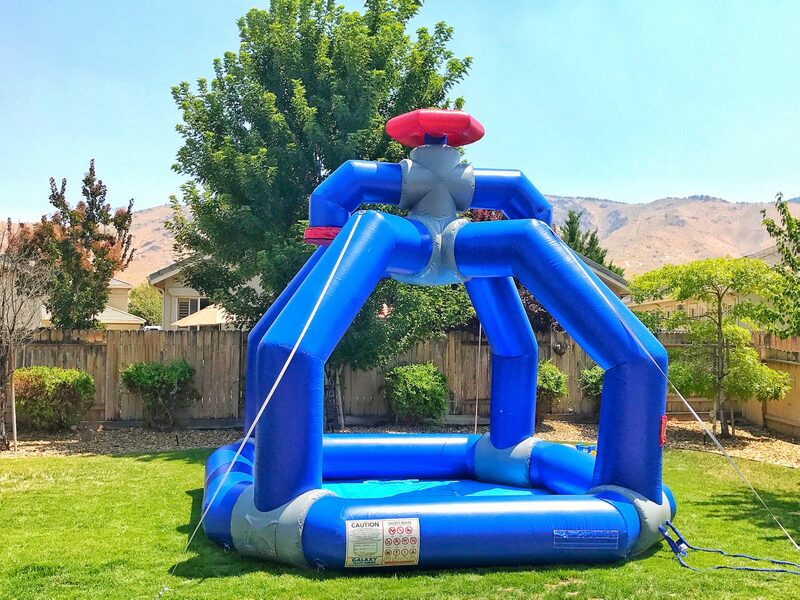 The Splasher is the perfect game for those hot days or to add to any company event festival or school carnival as a means to cool off your guests! 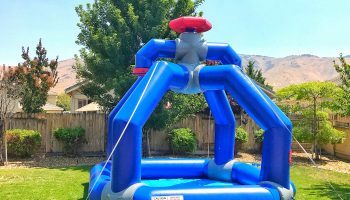 We deliver unique water slides, dunk tanks and other cool unique inflatables to the entire San Francisco, San Jose, Santa Cruz, and the entire east bay area cities in Northern California. Water Requirement we need a water source within 100 feet of the inflatable.